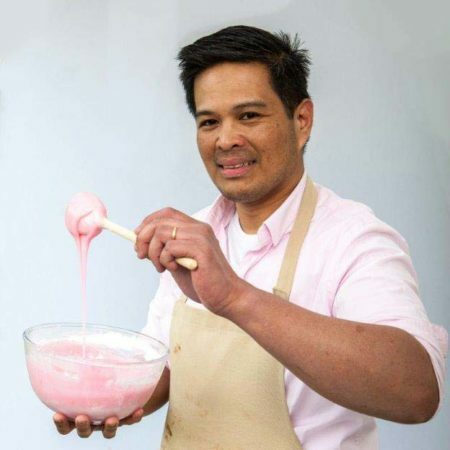 Alvin is originally from the Philippines, and works as a nurse in Berkshire, where he lives with his wife and their two children. He’s constantly jotting down everything from recipes to techniques so he can pass all his knowledge onto them both as they grow up. Seven years ago he questioned why he was buying bread and cakes when he had an oven. And now he bakes at least four times a week and owns every tin imaginable – much to his wife’s amusement. A true perfectionist, Alvin once baked bread every day for three weeks until he believed he’d got it right.